It’s been ages since I posted a review or video for that matter. I was browsing Youtube and came across this cool drifting compilation vid with a cool dubstep soundtrack. A good video to watch and chill out to. You’ll notice a few famous video clips in it. It’s kind of a mash between the most popular drift vids over the past decade or so! In the new year, 2014, I will be making an effort to up keep this blog more, adding more reviews, videos of drifting and other extreme sports for your viewing pleasure. If you’re in the market to buy a Gopro or other helmet cam, check out the reviews on this blog. It’s almost Christmas so if you need a gift, you can get one shipped soon if you buy online from a local outlet. Hi and Welcome to DriftCam.com! 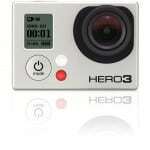 As you may have already guessed, this site is all about Action cameras! We post fresh and in-depth reviews of new cameras, accessories and write up comparisons, plus share related products on here to help you learn more before you buy. You’ll find all the news on new camera and accessory product releases, and the odd cool video or random findings related to this industry as well. A few of the brands we showcase are GoPro, Contour and Drift Innovation. Take a look around and don’t forget to subscribe to our free email alert newsletter so you can get free instant alerts of new product reviews and other posts we add to this site! Thanks again and hope to see you back here again soon. If you’re shopping around for action cameras, you’ve probably seen the GoPro 3 and the Contour Roam 2 as two of the most popular. When comparing the features, price, and quality of each one, they look a pretty close call. Here’s a brief summary and comparison of the two cameras. 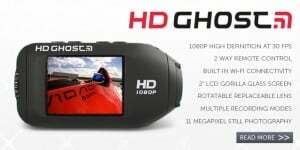 When the GoPro Hero 3 came out, it left everyone salivating as GoPro is usually seen as the leader in action cameras, but the Drift HD Ghost has arrived to the market. A lot of people are wondering which one is better or what makes each one different from the other. In this comparison article, I want to have a look at the differences between thes two super helmet cameras. Here’s a quick “superbowl” commercial the guys at GoPro made for the occasion. Love the slo-motion ending scenes of the baby flying with the helmet camera facing back on his face. But did this really air during the 2013 Superbowl? I heard the price for a 30 second ad spot was a cool $4MM! The first Roam helmet camera was a huge hit. 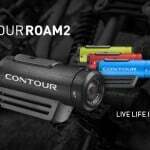 Now the Contour Roam 2 is here and like the first one, you’ll be living life in color as this video camera brings you brilliant updates making it a favorite on the market these days. This camera remains a top seller and offer innovative features you can’t find anywhere else. While it offers simplicity, the instant On switch makes it so much easier to begin recording allowing you to get the perfect shot every time. Now, you can find the Contour Roam 2 in black, blue, green and red allowing you to add personality to your camera. The frame rate additionally has improved drastically from 60fps in HD 720p (last version was only 30fps). The picture of this camera has also been fine tuned giving you the clarity you’d expect in a high-quality video camera. Sony has launched its first action camera to compete directly with the industry’s frontrunners GoPro, Drift and Contour, offering another tasty option for adventurous helmet camera consumers. The company actually released two models for the line up:- The HDR-AS15 and HDR-AS10. The two cameras are identical to look at. They have the same dimensions, specs and video/photo quality, output etc. 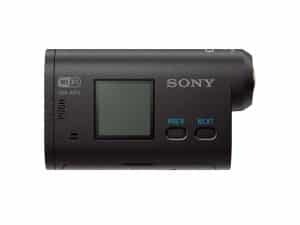 The only difference between the two Sony action cameras is that the HDR-AS15 is Wi-fi enabled and the HDR-AS10 isn’t, and is slightly higher priced. Just to be clear, this review is about the slick Wifi enabled HDR-AS15.